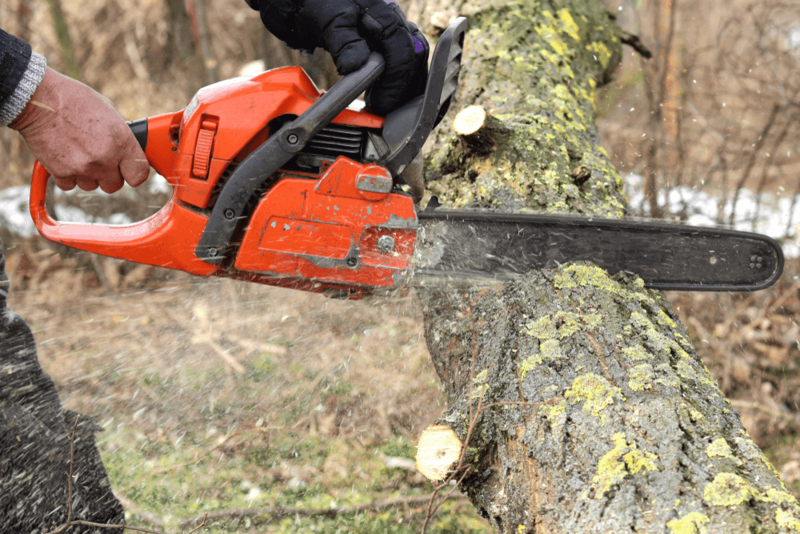 Before buying a best husqvarna chainsaw most people get confused between all the different brands out there in the market, or between the models if they have any preference about a particular one. So let’s eliminate some confusion first. Brand bias and generalizations of one brand being better than all the rest doesn’t make any sense to me. No one can tell me that Stihl makes crappy saws, nor does Husqvarna. All have a saw that is best in its own segment and perform well particularly in talented hands. You stick with one brand and you’ll miss out on a lot of great saws. In the end, it really boils down to personal preference but it should not be like a constant drumbeat of yours, remember that many of them will get the job done, and obviously no one saw is going to do everything you need. If you have come to this page, I assume you are likely to buy a Husqvarna chainsaw but are probably confused between the various models of different series. I would surely recommend some stars in the later part of this post, but before that let’s dig deeper into their wide model range. It will help you with your future Husqvarna purchase. While it is hard to go wrong with any of the models mentioned above, there are certainly other models of Husqvarna in the market which are doing fine. Many other websites and people recommend them every day, but these are not the PRO models. If you can comprise a little dip in quality and power for the much-reduced price, then you could also have a look at these models. Most of these models constitute the “home-owner” segment discussed above and are excellent bets for people with less frequent use. If you get enough power for half the price in home-owner models, then we certainly cannot ignore them. Husqvarna launched their 500 series after the 400 series and 400 series after the 300 series. All of their 5xx series models come with a magnesium case, 4xx models have plastic cases (composite plastic) of decent quality, and 2xx models come with the cheapest plastic cases. 3xx is their oldest series that has a variety of models with surprisingly different displacements along with either magnesium or high quality plastic crankcases. Their PRO models are imported from Sweden factory while the “Homeowner” models are manufactured in the US itself. The second and third digit in the model number of Husqvarna chainsaws refers to the engine capacity (in cc’s). The Pro saws (XP’s) are much better quality than the homeowner/landowner saws. This doesn’t mean that those models don’t last, but pretty much they are all plastic, including the front handle and even the crankcase is plastic make. Regardless of series, all the XP Pro saws have cylinders inside the heavy-duty magnesium crankcases that could be easily removed. This PRO style engine in a magnesium case is much better quality than the clamshell type engine bolted into a plastic case in homeowner saws. Sure “homeowner” models aren’t the pro versions but then again I certainly wouldn’t classify them as low quality either. They have lower quality, not low quality. There can be a big difference between those words. If you are a casual user, the professional route might not be the best option for you. In such a case you can try the homeowner/landowner category saws. But if you need a more beefy, sturdy and longer lasting saw, remember that the XP models are a crowd favorite. They also usually have more power for size and run very strong. You would not hesitate to sink them into thick logs of wood on a regular basis. And I am sure that regardless of the job, you really can’t go wrong with any of the pro 50cc saws. The XP PRO class usually represents the cream of Husqvarna’s crop. Their true models which have a long history of reliability and performance are still in production. Husky guys have launched various models to cater to the needs of different segments of the market but sometimes there seems to be no rhyme in the pricing of their series. In some cases, the larger CC’s aren’t reflected in the price. You’ll also notice that some of the higher priced saws don’t come with all the bells and whistles of the XP Pro saws, but are still high in price. Now you have an overview of their models in general, you might be looking for some advice on the best model for your particular needs. I think, there is no right model for you, rather there is a range of models that would potentially meet your needs. It’s sort of a personal question, so with that, it is often most helpful to identify your intended usage whether this will be an only-saw or part of a multi-saw mix, and then go from there. But if you are just starting out, you can follow my old strategy. Basically, you could use like a 30+ cc model, then around a 50, then around a 70 or larger. Keep on adding salt as per the taste. If you want a more specific answer, then let me mention that without any qualifying or quantitative statements to use as discriminators this won’t go far. What size and species (hard or soft wood) of wood you are going to cut, what will be the usage frequency and duration, and how much quantity of wood you are going to cut on a regular basis? All of these are relative and necessary questions to be answered to be able to arrive at the appropriate decision. But before arriving at any decision, always remember that the best saws are the “PRO” quality ones. They cost more, but in general will be more reliable, easier to start, have more power, are lighter and more user friendly to operate. Get the largest you can afford and handle. If you want to save money, you can probably look for the budget version of PRO saws, or you can also buy a used PRO saw. Used is such a wide variation, it’s a huge wildcard. Below I have listed some of the best models according to various categories to jumpstart your selection process. This data is the result of many experts and dealer’s advice clubbed together. I have also considered many Husqvarna chainsaw reviews before preparing this list. Most companies present strong offerings in the 50 and 60cc classes but for me, Husky does everything better. I think they have arguably the ‘best-in-class’ models for medium duty and heavy duty use. This is where the XP PRO series shines. Others may recommend many other smaller saws but medium use to me means if you could only have one saw, the medium would be it. If you feel I have missed something important, do let me know in the comments section below. You can also ask questions regarding various models if you have any doubt. Feel free to contact.